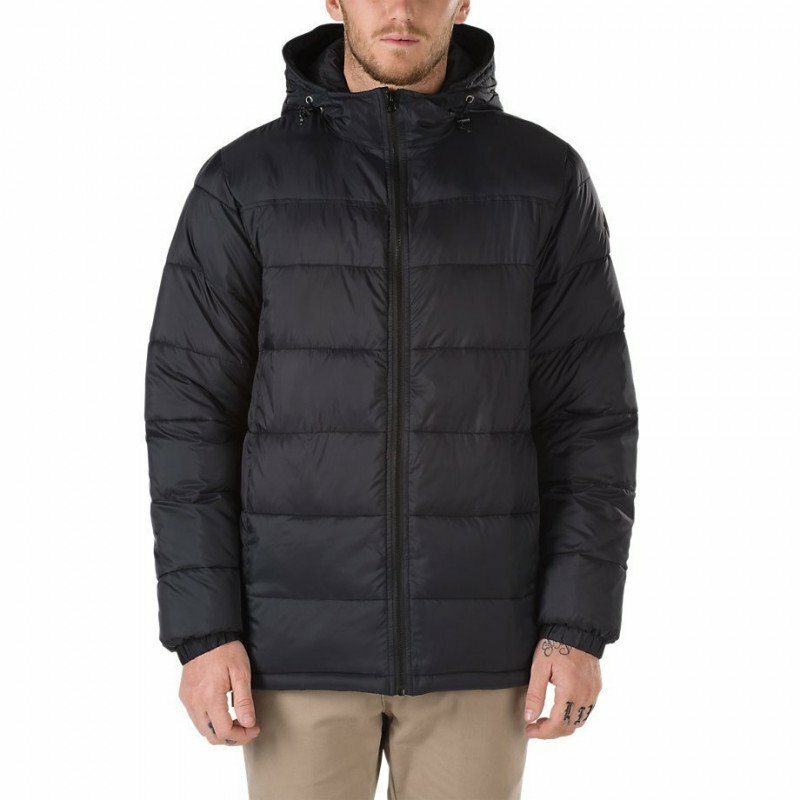 Vans The Woodcrest MTE Jacket is a 100% nylon horizontal quilt packable puffer jacket that fuses all-weather function with Vans classic California style. Featuring 6 oz. DuPont Sorona sustainable fill for added insulation, the Woodcrest MTE Jacket also includes 1K Durable Water Repellant coating, hidden on-seam zippered pockets, and an adjustable bungee cord with locks at the hood. The jacket packs into the hood with a hook-and-eye closure system. Model is 6 feet tall and wearing a size Medium.